Looking back, it’s odd to think Tony McMahon probably wasn’t set to play as many games as he ultimately has. 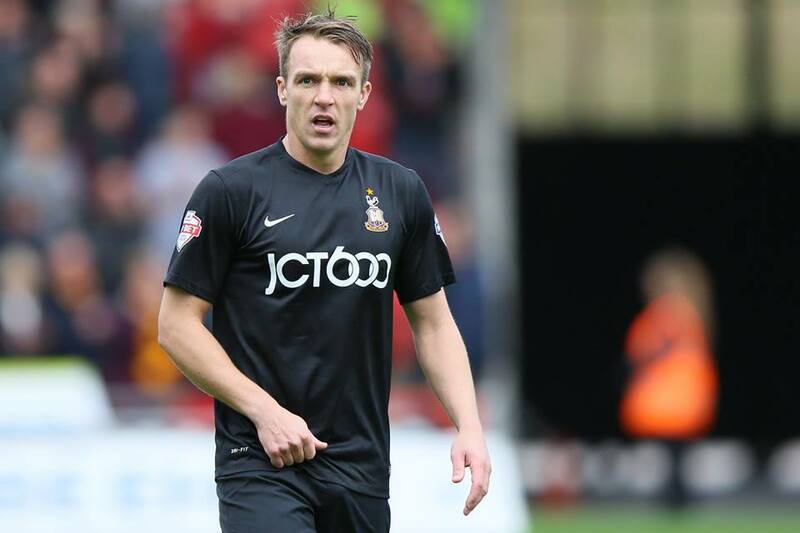 One of a handful of the retained from the side that fell narrowly short of the top six last season, he looked set to live out his two year deal as a utility man, playing principally the deputy right back to Stephen Darby and the understudy to Paul Anderson. Yet here we are. 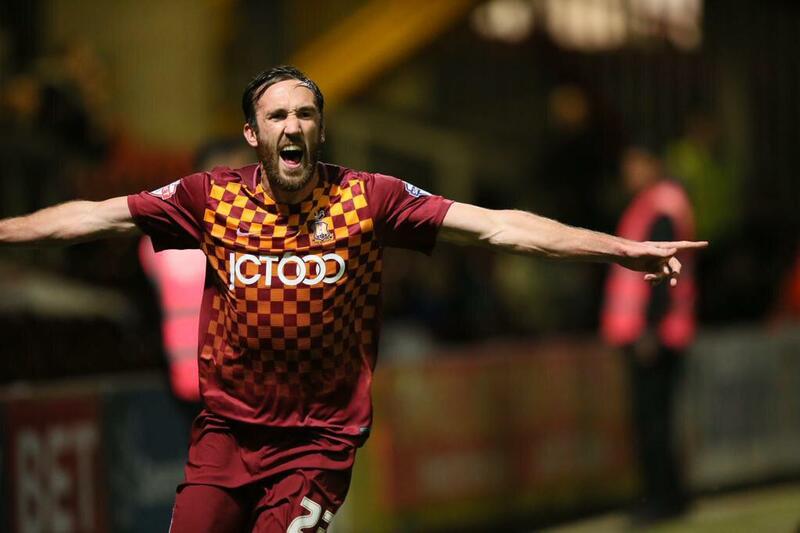 Twelve months on, 15 assists and one punch to a Millwall player later, and he is 3rd in the Width of a Post Player of the Year vote – and Bradford City’s latest cult hero. Given how things would pan out, it’s easy to forget just how poor McMahon was (at the base of the diamond) in the opening few games, and, to a lesser extent, in the January lull that ushered in the departures of Gary Liddle and Devante Cole. Although Ben Williams, and later Nathan Clarke, would ultimately eclipse McMahon for the ‘Most Improved Player’ award, McMahon’s turnaround is hardly negligible and fits aptly with the narrative of resilience and reformation that has characterised the side this year. His move to the right coincided with the team burgeoning into their Perfect Ten run, and immediately inaugurated McMahon as this squad’s real patriarch. From the moment he careered into the Wigan midfield pair after a heavy challenge on James Hanson, to taking Billy Knott in his arms after that deflection against Fleetwood, he’s made this team at times, and brought bravado to accompany the wherewithal. There was this moment against Chesterfield, on the final day of the regular season, when Williams went wide to meet an opposition header, caught it, wobbled bang on the byline, and then McMahon steadied him to stop the corner. My first reaction was, “Can he do that?” and then my second reaction was, “Tony – you’re my hero!” At times, he’s lived at least within the parameters of the Gary Jones mould, his single-mindedness often within touching distance of the former skipper’s. McMahon’s notched up 13 assists in the league alone this year. No one in this team comes close to matching that kind of influence, statistically: Billy Clarke has five in the league, James Meredith four. Granted, most of those will be from set pieces, but this team have made an art form of the 1-0 win and ride or die along the finest of margins – they would be nowhere near the top six without the proficiency and profligacy of their number 29 and his delivery from dead balls. You could speculate, and probably not be too far from the mark, that this team are playing for set pieces more than Parkinson’s previous squads. Corners have always been a staple of City’s identity under Parkinson, but, in view of an otherwise limited forecasted goal return, you wonder if they’ve become especially vital this year – particularly when you have a player like Reid who can stretch a defence and play to the byline, as opposed to the narrower wideman a 4-4-2 diamond would necessitate. And yet, people still want to argue McMahon does not offer enough to warrant a place in the starting XI every week – undoubtedly more of a reflection of what football supporters tend to believe a winger should be, rather than McMahon’s actual ability. He won’t beat his man a million times, but he doesn’t have to. Parkinson’s always matched a conservative winger to his Kyel Reids, and McMahon fits that bill superbly. This was a big season for Rory McArdle. In previous years, he’d always been the junior partner to Andrew Davies, the man who mopped up behind him and stayed in his shadow. When he’d had to come out and be the main man, his performances hadn’t really dropped, but, mostly due to the rotating selection of inadequate partners, results had. In the first few weeks of this season, it looked like the same was going to happen. Nathan Clarke, Alan Sheehan and Gary Liddle were all used in the first four games, and the defence creaked and leaked goals. The solution, brought in at the end of August, was an inexperienced youngster from West Ham. No matter how good a defender Reece Burke might be, it was now down to Rory McArdle to lead the defence. And lead it he did. 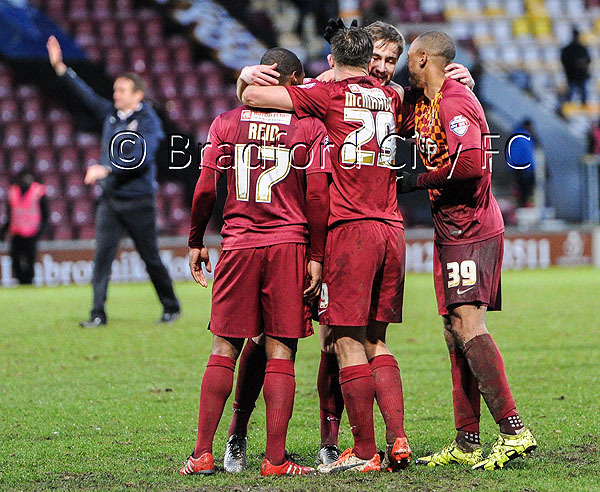 The Bantams, barring a brief spell with Brad Jones doing his worst impression of a goalkeeper, stopped conceding. McArdle stepped his game up another level, and showed exactly how good a defender he was. He ensured that Burke always had someone alongside him that he could trust to bail him out (the one game without McArdle before March, against Colchester, saw Burke’s shakiest display of the season), and made it very easy for Ben Williams to come in and regain his confidence. He even managed to re-establish the partnership with Nathan Clarke that had looked so porous at the start of the season, and gained another call-up for Northern Ireland, though was unable to add to his caps. In many ways he hasn’t got the recognition he deserves this season. Internationally, he’s unfortunate enough to play at centre back, the one position where Northern Ireland have genuine depth and quality. For City, his injury at Bury meant that he was out of sight and out of mind when the voting for the player of the year awards happened, which denied him a very good chance of retaining it. That said, it’s probably better for City that he stays out of the limelight. After all, it gives us the best chance of retaining the best out-and-out defender in the bottom two divisions.